It’s time for the City Council to finally end its shameful, deafening silence. 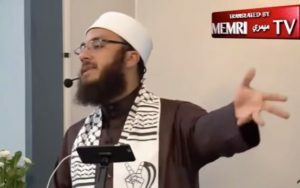 First, it must forcefully and unequivocally condemn Ammar Shahin, and his hateful, dangerous and murderous statements against Jews, as despicable and abhorrent. Second, the City Council must call for his employment at the Islamic Center to be terminated, permanently and irrevocably. When a firestorm erupted after Shahin’s July 21st sermon, he issued a phony, meaningless apology: “I do understand how my words were hurtful, and I am sorry. I understand that speech like this can encourage others to do hateful and violent acts, for this I, truly apologize.” But Shahin did not take back the hateful, violence-inciting message he delivered to his listeners at the Islamic Center – that Jews are filth and should be murdered. He did not promise to make amends by giving sermons in his radical mosque that would undo his racist, dangerous rants against Jews. As horrific and potentially dangerous as Shahin’s actions are, the City Council has, to date, remained silent – even though at the meeting on July 12th, the City Council heard from community members who feel personally threatened and at risk for their physical safety as a result of Shahin’s incitement. Community members also criticized the City Council’s double standard: It would never remain silent if a Christian, Jewish or other religious leader debased another religious or ethnic group as “filth” and called for their murder. 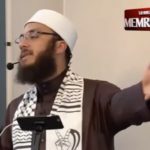 ZOA Horrified by US Imam’s Hitler-Like Demand to Murder Jews – Fire Him!